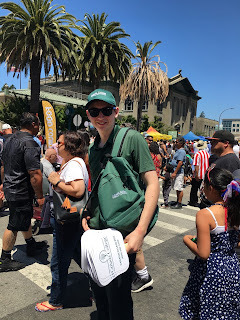 While at the events, the team connected with more than 10,000 San Mateo County and northern Santa Clara County residents. The team also hosted a series of application workshops at feeder market high schools and community locations, connecting with more than 400 potential students. 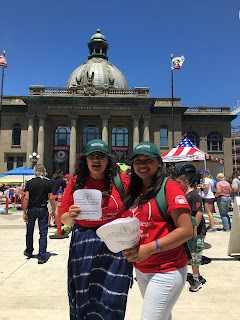 The Marketing & Outreach team has also continued to identify several service-oriented opportunities for students and employees to participate in through Cañada in Your Community, community relations initiative aimed to connect with, and support, San Mateo County residents. In December, the team partnered with local Starbucks and Philz Coffee locations to collect goods for its second annual Holiday Jacket & Toy Drive, supplying more than 200 children from our Coastal communities with jackets or toys for the holiday. In April, the team partnered with the Redwood City Library to host its first-ever Reading Circle, hosting 75 community members (many who had never visited Cañada) to an afternoon of storytelling, craft-making and snacks while learning about educational opportunities available to them at the College. The team looks forward to hosting a series of Cañada in Your Community events in the upcoming year and invites students and employees to join in the College’s outreach efforts.